Hexarelin is a synthetic peptide made up of six amino acids. Hexarelin is a powerful growth hormone releasing peptide and is capable of causing potent growth hormone release in normal subjects after oral, intranasal, intravenous and subcutaneous administration . Hexarelin stimulates the release of growth hormone by activating the ghrelin receptor found in the brain . Activating this receptor and increasing the levels of growth hormone within the body can modulate food intake and energy metabolism and also influences glucose and fat metabolism [3, 4]. Growth hormone secretion also increases appetite and causes increased lean muscle growth . The complete mechanism of how hexarelin stimulates growth hormone secretion is unknown, but it is likely that the release is mediated by the hypothalamus as the growth hormone increase is resistant to normal inhibitory mechanisms . In comparison to ipamorelin, hexarelin is a stronger growth hormone stimulator and will also lead to an increased production of IGF-1, cortisol and prolactin . However, hexarelin does not induce any hunger side effects since it has the ability to not only raise the level of GH in the body but to also suppress somatostatin . In animal trials, hexarelin improved lipid metabolism and led to a decrease in fat mass and an increase in lean mass . Human trials showed that hexarelin was clinically useful to stimulate growth hormone secretion in humans and that the growth hormone-releasing activity was dose dependent . Hexarelin may also have beneficial heart protective effects beyond growth hormone release and neuroendocrine effects as it has been shown to bind a specific heart receptor . In comparison to ghrelin, hexarelin is more chemically stable and functionally more powerful. Therefore, it may be a promising therapeutic agent for some cardiovascular conditions . 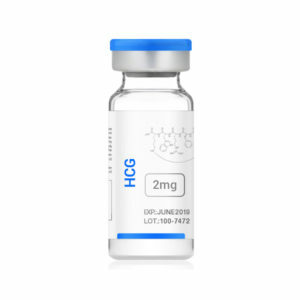 The optimal way to use hexarelin is to stack it with low doses of other growth hormone releasing peptides, such as GHRP-2, GHRP-6 or ipamorelin. Combining a low dose of hexarelin with an additional GHRP will increase the pulse of growth hormone. Hexarelin 2mg should be reconstituted in BAC water and injected subcutaneously or intramuscularly at a dosage of 200 mcg. Hexarelin can be dosed once or twice daily and dosages should be spread out over the course of 24 hours. Hexarelin has been acutely and safely administered to humans at 2 mcg/kg resulting in only non-serious side effects (a non-significant increase in heartbeat and facial flushing) . Side effects when using hexarelin at the recommended dose are generally minimal, however lowered libido is sometimes reported. Ghigo, E., et al., Growth hormone-releasing activity of hexarelin, a new synthetic hexapeptide, after intravenous, subcutaneous, intranasal, and oral administration in man. J Clin Endocrinol Metab, 1994. 78(3): p. 693-8. Howard, A.D., et al., A receptor in pituitary and hypothalamus that functions in growth hormone release. Science, 1996. 273(5277): p. 974-7. Maccario, M., et al., Metabolic modulation of the growth hormone-releasing activity of hexarelin in man. Metabolism, 1995. 44(1): p. 134-138. Massoud, A.F., P.C. Hindmarsh, and C.G. Brook, Hexarelin-induced growth hormone, cortisol, and prolactin release: a dose-response study. J Clin Endocrinol Metab, 1996. 81(12): p. 4338-41. Giustina, A., et al., Hexarelin, a novel GHRP-6 analog, counteracts the inhibitory effect of hydrocortisone on growth hormone secretion in acromegaly. Endocr Res, 1995. 21(3): p. 569-82. Mosa, R., et al., Hexarelin, a Growth Hormone Secretagogue, Improves Lipid Metabolic Aberrations in Nonobese Insulin-Resistant Male MKR Mice. Endocrinology, 2017. 158(10): p. 3174-3187. Mao, Y., T. Tokudome, and I. Kishimoto, The cardiovascular action of hexarelin. Journal of Geriatric Cardiology : JGC, 2014. 11(3): p. 253-258. Bisi, G., et al., Acute cardiovascular and hormonal effects of GH and hexarelin, a synthetic GH-releasing peptide, in humans. J Endocrinol Invest, 1999. 22(4): p. 266-72.